We have new guests on our lawn. 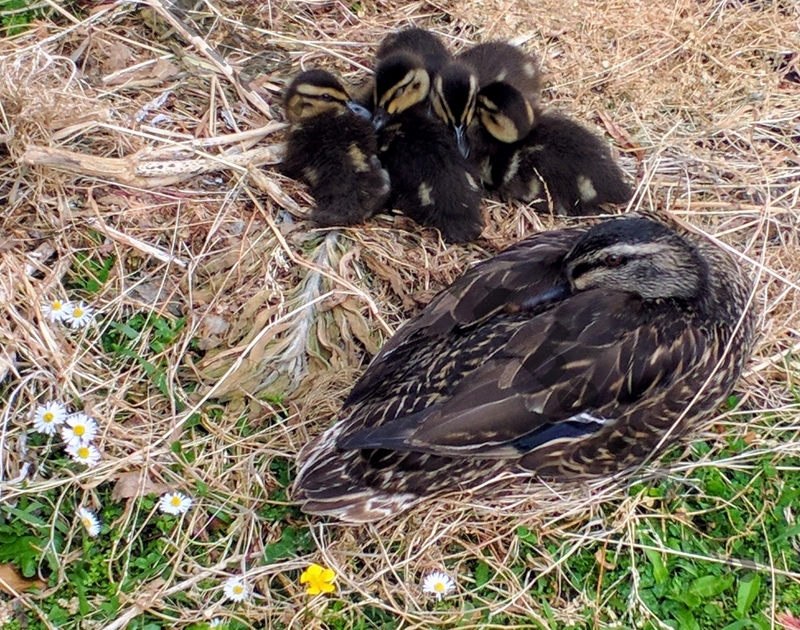 These ducklings look like newborns visiting with their mother. This made our day. I am sure to see them around from now on because their mother has already been a regular to our place.